This is an odd one: Kings guard Buddy Hield celebrated his 25th birthday Monday. I know this because the NBA, ESPN, Basketball Reference, Draft Express, CBS Sports, Yahoo Sports, RotoWire, something called Roster Source, and The Official Site of the Sacramento Kings all tell me that he was born in December of 1993. This relatively minor discrepancy shouldn’t much at all now that Hield has established himself as a useful NBA player. But where it gets at least a little interesting is in the context of the NBA draft, where teams and talent evaluators tend to place a lot of value on youth, reasoning that a young player at the same competitive level has more developmental upside than a player who’s had a few more years of physical maturation. But maybe the only people who matter have had Hield’s birthday right the whole time? 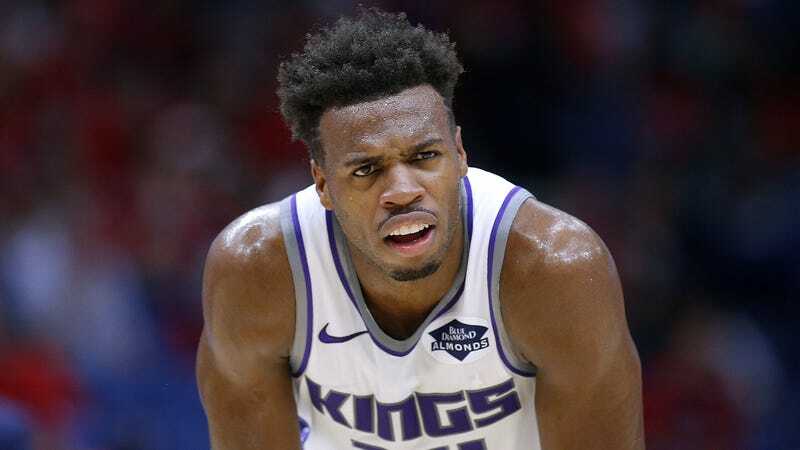 Hield says he believes Oklahoma had his information correct during his four years there; Kings general manager Vlade Divac says that at least his department has Hield’s birthday down as 1992. It seems likeliest that the misinformation started with the NBA’s website and moved outward from there, which suggests that basically every NBA roster database in existence is grabbing profile information from that one source. Which makes sense! You’d expect the NBA to know the ages of its players. But for tonight, at least, Wikipedia has them beat.